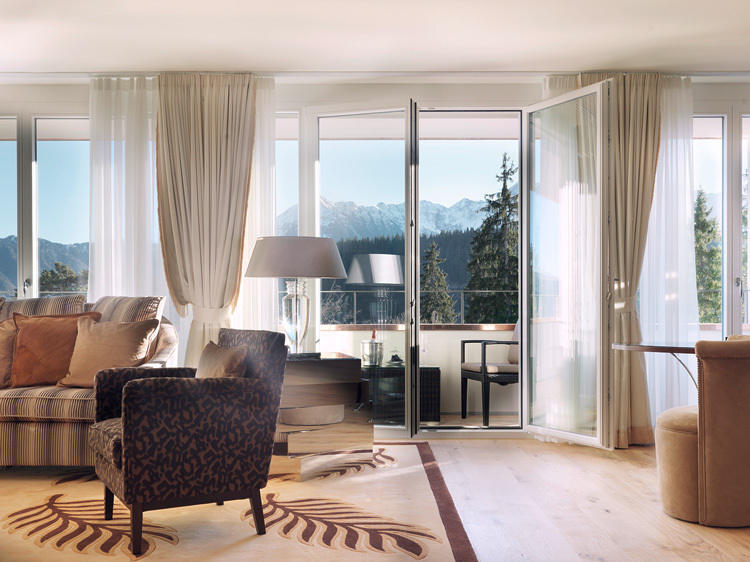 Nestled in the Swiss Alps, the illustrious Waldhaus Flims Hotel & Spa dazzles amidst the sparkling alpine scenery. 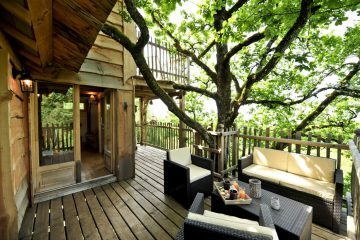 Located 90 minutes from Zurich, this clandestine Alpine retreat is renowned for its award-winning spa. 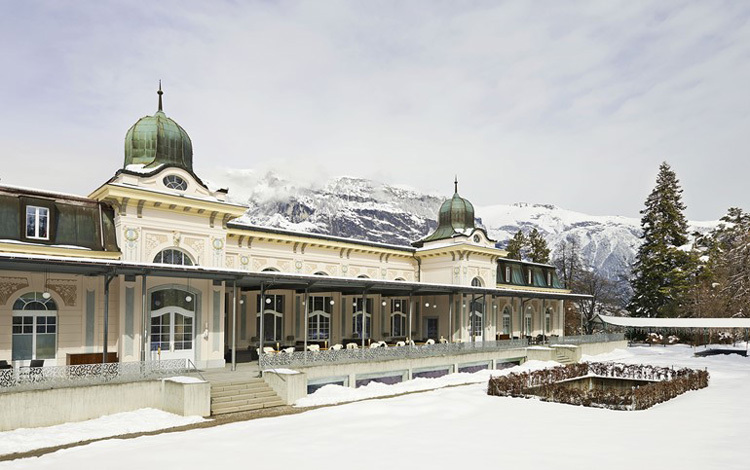 With Belle Époque charm, world-class comfort and breathtaking mountain views, Waldhaus Flims offers an exclusive experience in the heart of Switzerland’s treasured natural wonders. Situated above the alpine village of Flims, this exclusive resort offers experiences for all tastes and occasions, with guest residences at the elegant Grand Hotel, the idyllic Villa Silvana, or the charmingly rustic Chalet Belmont. Inside the top-floor Presidential Suite of the five-star Grand Hotel, exquisite interiors and panoramic views abound. With a cinema room, cozy living area with fireplace and a private sauna area, selective travelers are sure to enjoy this polished suite. In an environment of tranquility amidst the scenery of the Alps, the sleek 30,000-square-foot glass-and-stone spa ensures ultimate relaxation. 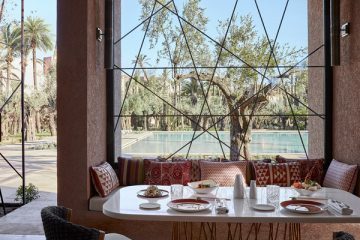 Complete with an indoor and outdoor pool, bathing pond, poolside bar, plus saunas, steam rooms and hammams, Waldhaus Flims offers the ultimate in European indulgences. Featuring Swarovski Physiotherm cabins, infra-red beams radiate a gentle heat to loosen the muscles, soothe any pains, and help the body’s natural cleansing. Spa treatments incorporate luxurious products from St Barth, Cellcosmet | Cellmen and Ananné. 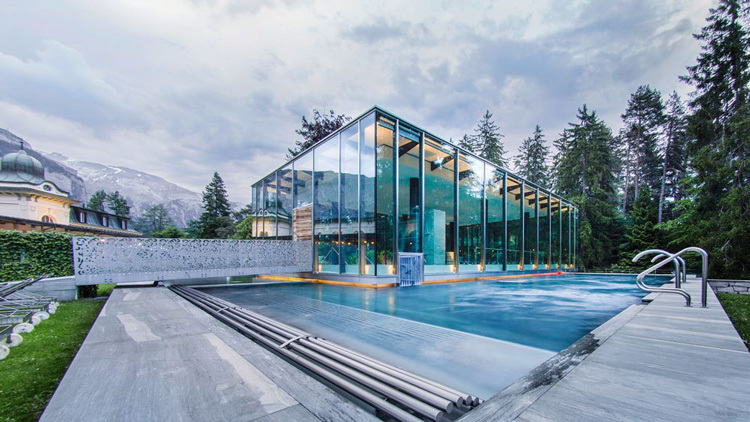 For a luxuriously immersive spa experience, Waldhaus Flims offers a private spa suite, with a canopy bed, multi-sensory shower, separate sauna with alpine herbal infusion, Jacuzzi pool, massage treatments, resting room and a refreshments bar. At the historic Belle Époque pavilion, with restaurants, a ballroom, modern conference rooms and the Belle Époque Hotel Museum, social activities abound from lively parties to alpine weddings. 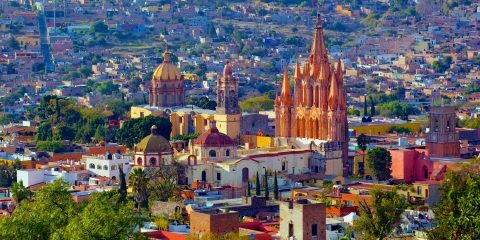 From traditional regional specialties including fondue and raclette, to top-notch culinary experiences, the gastronomic options are superb. With an excellent wine cellar, a cigar lounge and prosecco bar, evenings are sure to be elegantly pleasing. Whether for après-ski in the winter or a post-hike cocktail in the summer, an inviting atmosphere awaits. 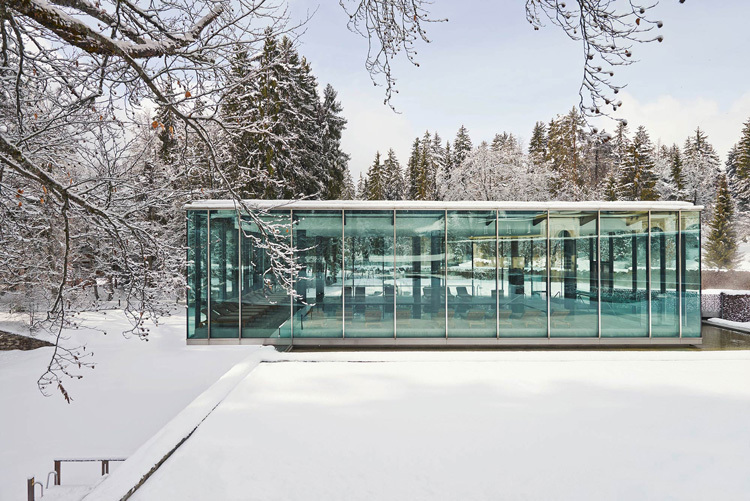 With exceptional spa experiences, a revamped minimalistic design aesthetic, and stunning panoramas of the Alps, Waldhaus Flims is truly a destination resort and spa for those looking for an incomparable modern respite.